Once your payment has been received, we will place your order in our system to begin production. 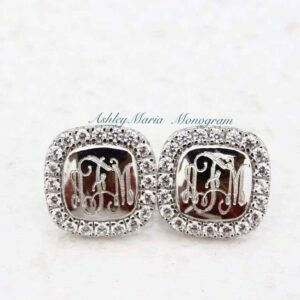 All customized products from AshleyMaria Monogram are a final sale due to the personalized nature of monogrammed gifts. The way our online store is set up we are UNABLE to make changes to an existing order. We are only able to adjust a shipping address or an email. 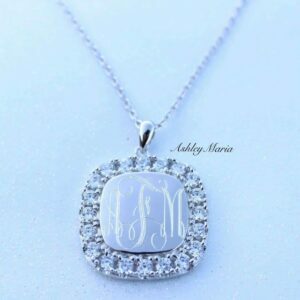 There is no way for us to manually alter a size, initials, or font once an order has been placed. It it VERY important you look over your order before placing it. 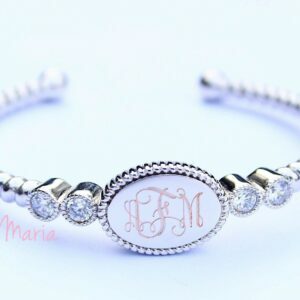 Initials should be typed in the exact order First initial, Last, then Middle(Maiden). 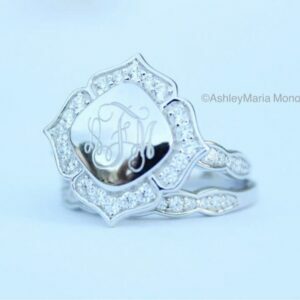 We are able to engrave four initials, but the initials will all be the same size and the more letters you add the smaller the engraving will appear. We do NOT engrave any symbols. If you choose for a symbol to be engraved it will not be engraved. 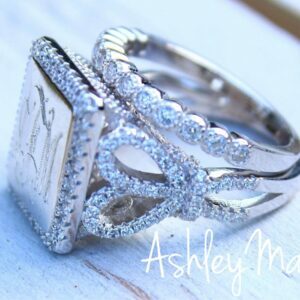 PLEASE follow the engraving format provided when placing an order. Thank you so much for shopping with us, and we know you will love your beautiful customized item. We do not accept returns or exchanges on any products as they are personalized and made especially for you. No refunds will be given, so please ensure you give us the correct monogram information at checkout. We are unable to engrave ANY symbols. If you type a symbol to be engraved it WILL NOT be engraved. If you have any questions or concerns please contact us. Packages do get lost within the postal services through its travel. We will gladly re-customized the item IF the package gets lost during its travels. Once the items shows delivered we are unable to reship the item. Our packages are shipped first class through USPS. ALL large orders are shipped priority mail. A USPS tracking number is included and the package will be delivered inside your mailbox or at your PO BOX. Please inspect your order immediately upon arrival. If you receive a damaged or defective item, you must contact us within 48 hours of delivery. Do to falsifying information please email us a picture of the defected item to am@ashleymaria.info and we will gladly ship you a replacement ASAP.